It’s difficult to single out a definitive episode of THE X-FILES, a show that never wanted to be easily defined. But if you had to try, you could do a lot worse than “How the Ghosts Stole Christmas,” a holiday treat that comes almost dangerously close to embodying everything that makes Fox Mulder and Dana Scully work. After nearly two weeks of Give Me My Remote readers nominating their television favorites from the past year, it’s time to vote for the 2018 GMMR TV Awards! The categories have varying amount of nominees (any category that received just one nomination—no matter how many votes it got—is the automatic winner and won’t need to be voted in via poll), but you’ll have at least two options to choose between in each poll. 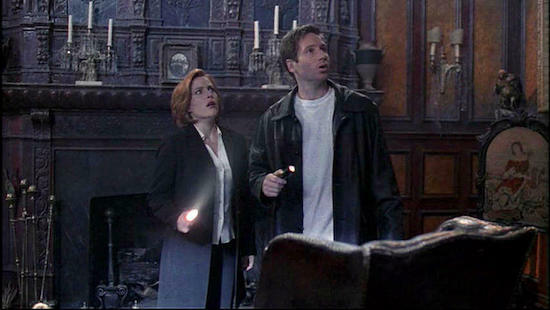 In Wednesday’s episode of THE X-FILES “Mulder (David Duchovny) and Scully (Gillian Anderson) find themselves targets in a deadly game of cat and mouse.” And while the duo has found themselves in tough spots before, the hour, “Rm9sbG93ZXJz”—written by Shannon Hamblin & Kristen Cloke, and directed by Glen Morgan—is told with only a handful of lines of dialogue. 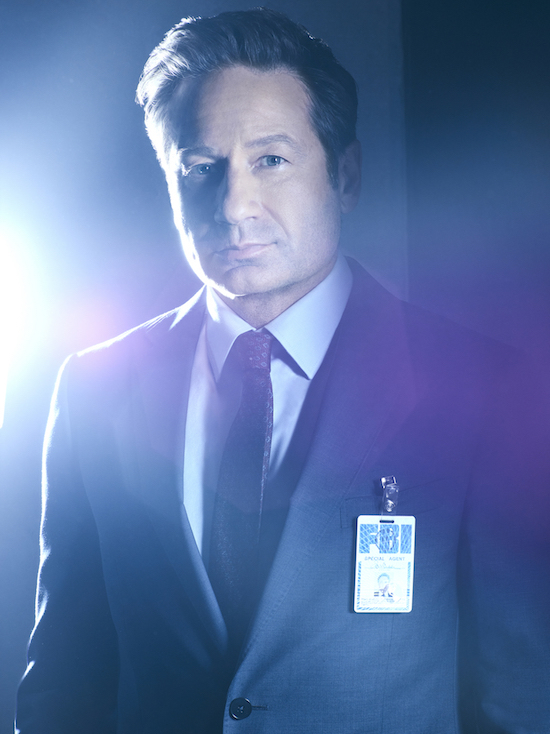 THE X-FILES is returning to television in 2016 with a two-night premiere event, Fox announced. The first hour will launch on Sunday, January 24th after the NFC Championship Game (scheduled start time is 10 PM ET/7 PM PT). The show will then make its time period debut on Monday, January 25th at 8 PM. 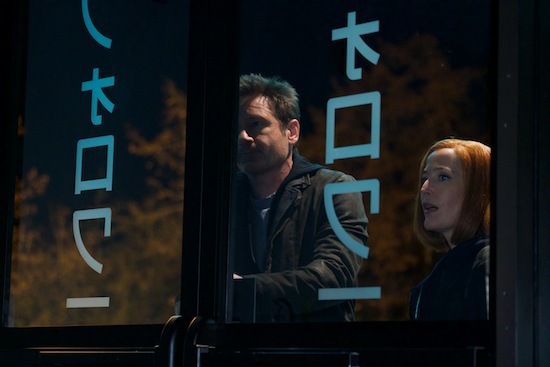 The six-episode event series will star original series stars David Duchovny (Mulder) and Gillian Anderson (Scully), as well as fan-favorite Mitch Pileggi (Skinner). Series creator Chris Carter is running the event series, while former X-FILES co-executive producer Glen Morgan has been bumped up to an executive producer. 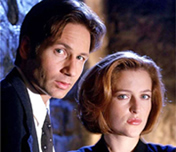 Are you excited for THE X-FILES’ return to television? NBC is making a big move in the way shows are released: the new David Duchovny-led, Charles Mason-origin drama, AQUARIUS, will have its entire 13-episode first season released online and via video on demand after the show’s two-hour premiere airs on NBC on May 28th. The entire series will be available for four weeks post-pilot premiere via the streaming and VOD platforms. AQUARIUS will continue to air Thursdays at 9 PM on NBC in the meantime. What do you think of NBC’s move? It’s official: THE X-FILES is returning to television. The limited series — which will consist of six episodes — will reunite original series stars Gillian Anderson (Scully) and David Duchovny (Mulder) with THE X-FILES creator Chris Carter. Fox Television Group Chairman and CEO, Gary Newman, told reporters at the end of the Fox TCA exec session that there were early talks about potentially bringing X-FILES back for an event series. After the panel, when Newman spoke with reporters, I asked him what the progress was of a potential series, and who would actually be attached. NBC has ordered 13 episodes of AQUARIUS, a straight-to-series drama starring soon-to-be-former CALIFORNICATION star David Duchovny. CALIFORNICATION will come to an end with the upcoming seventh season, Showtime announced today. CALIFORNICATION’s final season will debut in April of 2014. Are you sad to see CALIFORNICATION go?